The world of Gunbound takes place in Planet Lond and its 8 moons. 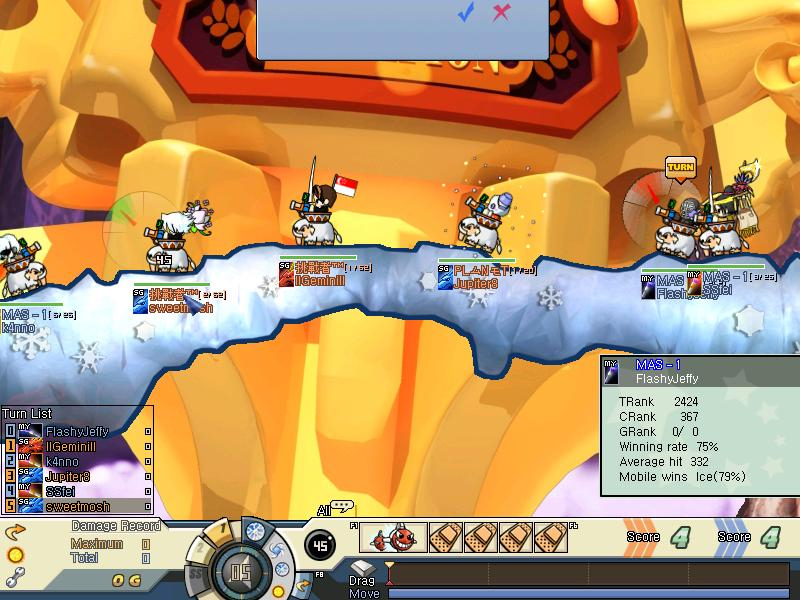 Gunbound means “The infinite war between each unique mobile and its riders”. New weaponry and strategies await you. The surrounding environment set in Gunbound dynamically changes according to the “Moon Disk”. Pay attention to the Moon Disk as it changes every other turn. Gunbound forbids simple game play. Feel the freedom of your game play within your turn. Players will be rewarded at the end of the battle. Winners will receive their reward and with the reward the players will purchase an avatar item(s) of their choice which will benefit in future battles. Player's objective is to excite the audiences that are watching the battle with his or her amazing skills and beautiful avatars. 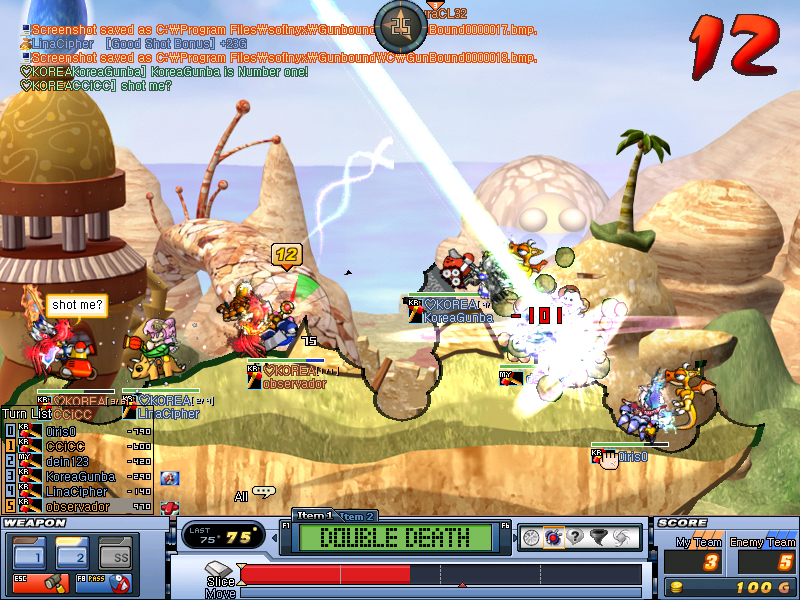 The player will receive special rewards if the audiences are pleased. Of course displaying bad manners in the battlefield will get you negative feedbacks and you will be booed off by the crowd. Keep it in your mind that your skills and avatars are directly connected to the amount of reward you receive at the end of the game.